Mark R. Hogan is secretary and CEO of WEDC. Mark’s work experience includes almost four decades at M&I Marshall & Ilsley Bank and BMO Harris Bank. He retired in 2010 as M&I’s executive vice president and chief credit officer before signing on to serve as senior adviser to BMO Harris in 2011. Mark served in this role until being appointed to his current position in September 2015. A Green Bay native, Mark earned a bachelor’s degree in finance from the University of Notre Dame and received his MBA from Marquette University. 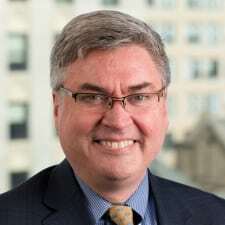 Mark currently serves on the boards of the Wisconsin Housing and Economic Development Authority (WHEDA) and the Cristo Rey Jesuit High School in Milwaukee, as well as the Archdiocese of Milwaukee Finance Council. 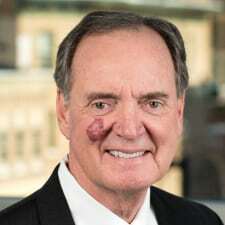 He has also served on the boards of Divine Savior Holy Angels High School, the Children’s Hospital and Health System, Marquette University High School and Mount Mary University, among others. Tricia Braun is chief operating officer for WEDC. Tricia brings over 20 years of economic development leadership experience to this role, and was recently recognized as a North American Top 50 Economic Developer. As chief operating officer, she manages the programmatic divisions of the state’s lead economic development organization, including business and community development; business and investment attraction; international business development; entrepreneurship and innovation; sector strategy development; and marketing and brand management. Significant projects she has led for WEDC include siting HARIBO’s first North American manufacturing facility in Wisconsin, as well as the launch of the state’s first-ever talent attraction marketing and outreach campaign. Tricia has been in her current role since February 2015, and previously served as WEDC’s vice president of economic and community development. Before joining WEDC in November 2013, Tricia was the director of economic development for the City of Riverside, California. In that role, she led the attraction of numerous major commercial and industrial projects that brought thousands of new jobs and several hundred million dollars in new capital investment to the city, earning her a spot in Southern California Real Estate’s 2007 Top 40 Under 40 in Commercial Real Estate. She was also a key leader in efforts to develop Riverside’s economic development strategy, “Seizing Our Destiny,” a collaboration-based movement centered on improving the overall quality of life in the region. 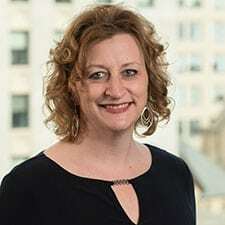 A graduate of the University of Wisconsin-River Falls, Tricia has also served as community development director in Zumbrota, Minnesota, and as executive director of the River Falls (Wisconsin) Area Chamber of Commerce. 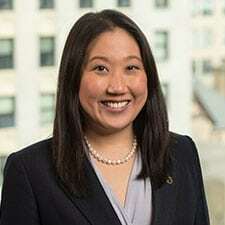 Jennifer Jin is chief legal counsel for WEDC. Jennifer joined WEDC in May 2017. 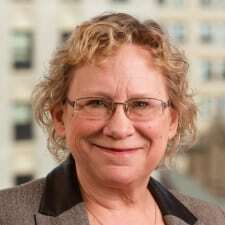 Prior to that, she was senior counsel with Husch Blackwell LLP in Milwaukee, working with corporate leadership as corporate counsel for midmarket clients and litigating cases before the Wisconsin Tax Appeals Commission, Circuit Courts and Court of Appeals. 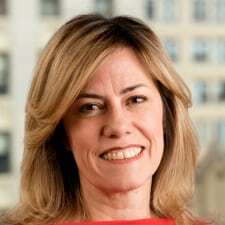 In this role, she also designed and implemented compliance programs to help companies proactively identify and mitigate legal and regulatory risk exposure, as well as researching, analyzing and evaluating current and pending legislation and regulatory requirements to determine business impact and potential risks. Jennifer is chairman of the State Bar of Wisconsin’s International Practice Section. 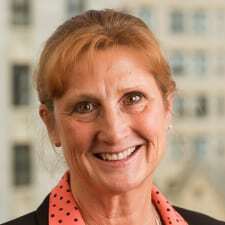 She was also an Advisory Committee member for Wisconsin State and Local Tax Inc., a board member for the Metropolitan Milwaukee Association of Commerce’s World Trade Association, and a grant member for the Milwaukee 7 Regional Economic Development Export Development Grant Program. She holds a bachelor of science degree in finance from the University of Illinois and a law degree from Notre Dame. Brian Nowicki is chief financial officer WEDC. He joined WEDC in December 2015, bringing to the position extensive experience in accounting, finance, portfolio management, cash management and budgeting in settings including government, nonprofit, real estate and higher education. Prior to joining WEDC, Brian was controller at Madison College. 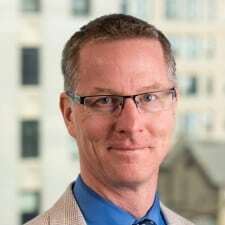 From 1999 until 2014, he worked for the Wisconsin Housing and Economic Development Authority, first as a financial officer, then as a controller, and finally as senior manager of economic development. 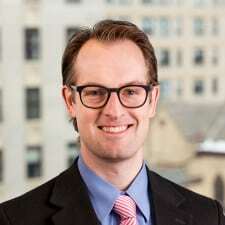 He has also worked as a valuation consultant for Baker Tilly Virchow Krause; as a financial analyst for Alliant Energy; and as an auditor for the National Futures Association in Chicago. 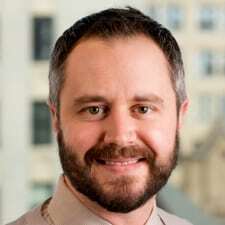 Brian holds a bachelor’s degree in business administration, with a specialization in accounting, as well as a master’s degree in finance, investment and banking, both from the University of Wisconsin-Madison. He is a certified public accountant and a chartered financial analyst. 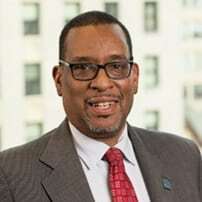 He is the chairman of the City of Madison Housing Strategy Committee and a board member for the Wisconsin Community Development Legacy Fund. 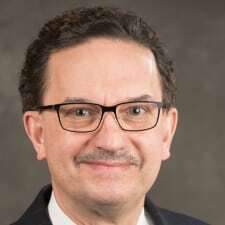 David Brukardt is associate vice president of economic development for the University of Wisconsin System, a position jointly funded by WEDC. In this position, he serves as the UW System’s lead economic development official, working to strengthen relationships between the UW System and businesses statewide, and to connect researchers among the various campuses to drive statewide economic growth. Prior to assuming this position in June of 2012, David had 20 years of public affairs experience with global organizations and entrepreneurial startups. Most recently, he served as executive vice president of investor and corporate relations for Sterling Financial Corp. in Spokane, Washington. David earned his master’s degree in business administration from the University of Maryland and his undergraduate degree from Marquette University. He also graduated from the ABA National Banking School in Fairfield, Connecticut. Aaron Hagar is vice president of entrepreneurship and innovation for WEDC. Aaron previously served as WEDC’s senior technology investment manager, where he gained valuable experience helping technology-based Wisconsin companies achieve their growth potential. In more than four years with the agency, he has built strong relationships within the state’s entrepreneurial community, which will allow him to quickly advance ongoing efforts to support Wisconsin’s startups and innovation-based businesses. Prior to joining the Wisconsin Department of Commerce, WEDC’s predecessor agency, in 2010, Aaron served as an economic development consultant in Minneapolis, where he worked with a coalition of government, business and community groups to develop policy recommendations to support community revitalization goals. Aaron holds a master’s degree in urban and regional planning, with a focus on economic and workforce development, from the Hubert H. Humphrey Institute of Public Affairs at the University of Minnesota-Minneapolis. He also holds a bachelor of science degree in medical microbiology from the University of Wisconsin-Madison. Barb LaMue is vice president of business and community development for WEDC. She assumed this role in August 2015, after serving with WEDC since 2012. Barb brings more than 18 years of economic development experience in Wisconsin to her new role. Prior to her vice president role, Barb was sector development manager for manufacturing, defense, advanced materials and bioscience in WEDC’s Division of Business and Industry Development. Previously, from January 2012 to November 2013, Barb was a regional account manager, providing assistance, training and guidance to economic development organizations in eight counties in northeast Wisconsin, facilitating the coordination of WEDC regional resources and working with local economic development organizations (EDOs) to package incentives and support for business expansion and attraction projects. Before joining WEDC in January 2012, she was executive director of Centergy Inc., a regional EDO serving five counties in central Wisconsin. Barb has also served as vice president of economic development of the Greater Green Bay Area Chamber of Commerce and executive director of the Marshfield Area Chamber of Commerce and Industry. A native of central Wisconsin, Barb holds a master’s degree in public administration from the University of Wisconsin-Oshkosh and a bachelor’s degree in business administration from Lakeland College in Sheboygan. She is a Certified Economic Developer (CEcD), a designation granted by the International Economic Development Council that is the industry gold standard for excellence in the profession. She also received her Economic Development Finance Professional certification through the National Development Council. 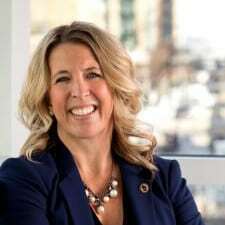 She is president-elect of the Mid-American Economic Development Council and past president of the Wisconsin Economic Development Association, and has been appointed by governors of both parties to serve on various state commissions. Kelly Lietz is the vice president of marketing and brand strategy for WEDC. Anne Jesko is vice president of human resources with WEDC. In this role, she is responsible for all aspects of compensation and benefits administration, payroll, human resources information systems, corporate training, employee development, recruitment, employee relations and facilities. To her work at WEDC, Anne brings more than 10 years of experience in talent management, employee engagement, recruitment and retention, employee relations, training and development, conflict management and performance management, among other areas of expertise. Before joining WEDC, Anne was vice president human resources business partner with QBE-North America, a division of QBE Insurance Group Limited, one of the world’s 20 largest insurance and reinsurance companies with locations in 38 countries and 16,000 employees worldwide. 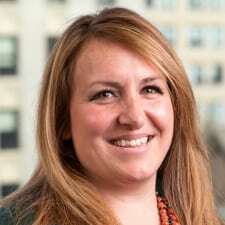 Prior to that, she worked for Home Depot in Milwaukee from 2005 to 2013, first as a store human resource manager and then in district-level human resource manager positions. Anne holds a bachelor’s degree in human resource management from Marian College in Fond du Lac. Vincent A. Rice is vice president of sector strategy development for WEDC. Vincent joined WEDC in January 2018. He came to WEDC from the Wisconsin Department of Workforce Development (DWD), where he had been a program manager for the Division of Employment and Training. In that role, he evaluated the talent requirements of different industries and created targeted training programs to meet those needs. He also headed efforts to improve collaboration and communication between the business community and the agency, with a focus on improving processes and relationships across the state. Previously, Vincent served as division vice president and general manager for RMT Inc. (formerly a division of Alliant Energy Corp.) from 2006 to 2009; as business director for the aerospace division of Honeywell International Inc. from 2001 to 2006; and as a product development manager and product line manager for Corning Inc. from 1995 to 2001. Vincent holds a bachelor of science degree in business administration from Hampton University and a master’s degree in business administration from the University of Virginia. He holds Six Sigma and Project Management Professional certifications. Joshua Robbins is vice president of technology and information systems for WEDC. He joined WEDC in December 2011, and joined the executive staff in September 2015. In his prior role as IT systems analyst, he was responsible for testing, building, maintaining and implementing WEDC’s IT systems. He also handled asset management efforts and research and development on new product lines; utilized project management skills to implement new software and systems; wrote documentation; was responsible for internal monitoring of all WEDC IT systems; and planned and developed IT security strategies for user security during international travel. Joshua holds an associate’s degree in computer networking systems and a bachelor’s degree in information systems and cybersecurity, both from ITT Technical Institute in Madison. Katy Sinnott is vice president of international business development with WEDC. In this role, she is responsible for developing and implementing strategies to grow Wisconsin’s economy through helping Wisconsin companies expand their exports and through attracting foreign direct investment in Wisconsin. Katy has more two decades of business management and financial services experience, working in more than 40 countries with an emphasis on China. Before joining WEDC, she was the CEO and a board director for ERIC Paris Salons, a chain of salons based in China. Under her leadership as CEO, the company expanded from three salons to 38 in three years. At its peak, the company had revenues of $6 million and 450 employees. Prior to that, Katy was a consultant in Hong Kong for McKinsey & Company, a global management consulting firm. In this role, she oversaw the merger of two global television tube manufacturers spread across multiple continents and helped design a customer loyalty program for China’s second-largest oil company. Katy also held several positions in Hong Kong with HSBC Ltd., one of the world’s largest banking and financial services organizations. She is experienced in redesigning bank business processes and ensuring information services are business-driven. A Wisconsin native, Katy holds a BS in finance from the University of Wisconsin-La Crosse. After college, she was awarded a scholarship to attend the Chinese University of Hong Kong through Yale University, where she completed a nine-month intensive studies course in Mandarin. She is conversant in Chinese and French. Amy Young is the Public Policy Director for WEDC. Amy has more than 14 years of economic development experience with the former Department of Commerce (now the WEDC). Prior to that, she worked in financial services and government relations. Young holds a bachelor’s degree from Southern Illinois University−Carbondale and National Louis University−Evanston. Rebecca Deschane is the talent initiatives director, a joint position with WEDC and the University of Wisconsin System. In this role, she leads and coordinates both organizations’ statewide efforts to attract and retain talent. In her prior role as WEDC’s legislative liaison, Rebecca played an integral role in WEDC’s efforts to identify and develop talent initiatives. She serves as the primary contact for WEDC’s engagement with young professional organizations across the state and has worked with NEWaukee to launch and expand YPWeek, a statewide initiative aimed at attracting and retaining young talent in Wisconsin. She has also led an internal task force on talent retention and attraction that developed and coordinated activities across the various divisions at WEDC. A WEDC staff member since 2011, Rebecca was selected for her new role as part of a national search and will work with WEDC and the UW System to help align local, regional and statewide talent and workforce initiatives. She will engage with organizations to provide insight and policy development to support the talent needs of Wisconsin’s businesses. In addition, she will serve as liaison to organizations and institutions seeking to develop and support complementary talent initiatives.